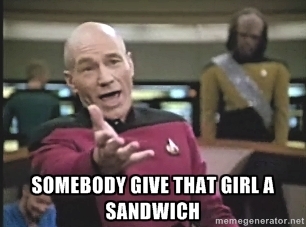 One of my first thoughts when I sat down to paint this miniature was, “Somebody give that girl a sandwich.” Fortunately, I had just gotten in my first batch of Kneadatite and decided to #GiveThatMiniASandwich. 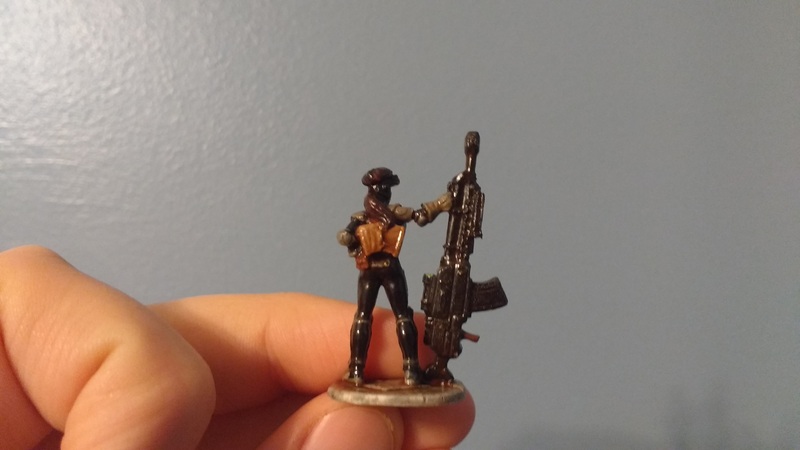 Sarah Blitzer, IMEF Sniper is a miniature from the original Reaper Bones Kickstarter. I continued practicing the techniques shared in Dr. Faust’s How to Paint Miniature Eyes and Dr. Faust’s How to Paint Flesh on Miniatures. At first, the eyes turned out really well but I botched one of them while painting on the flesh tones and never got it back to it’s original state. In fact, that whole side of the face ended up rough even after I tried stripping most of the paint off. I’m definitely going to have to start playing with different paint consistencies. I have a big project coming up where I’ll need to layer colors so I decided to practice with Sarah’s hair. I did a colored base coat that I attempted to darken with several coats of black wash. It didn’t really do much to darken it. Next time, I’ll try a dark base coat with a lighter wash. 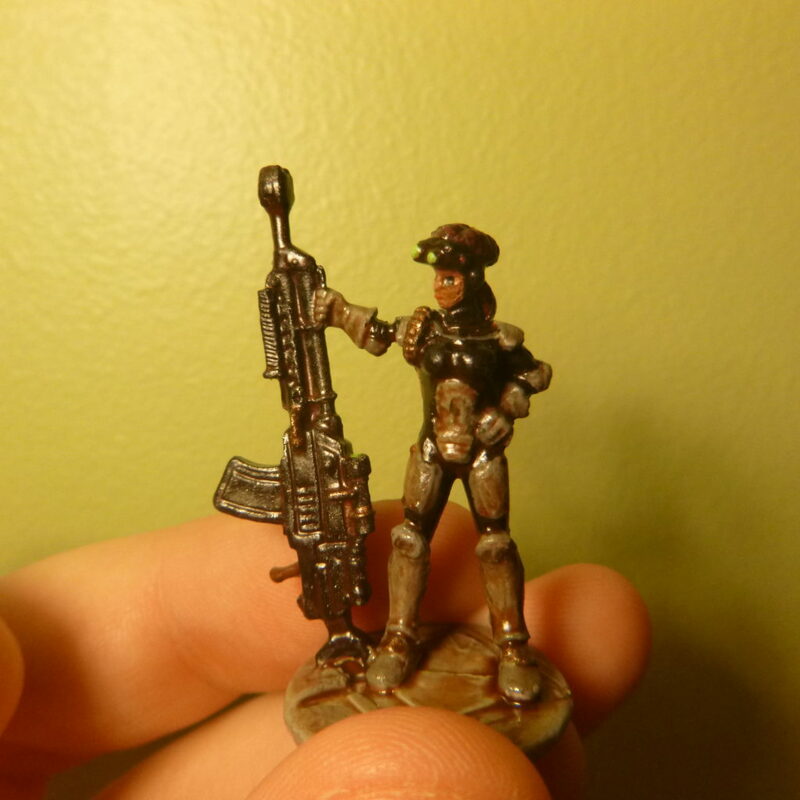 I also gave the gigantic sniper rifle a metallic wash and I think it turned out nicely. Originally I was going to go over with miniature with camo-stripes, similar to what I did with Enforcer with Power Axe, but the layers of paint were starting to obscure details so I decided against it.